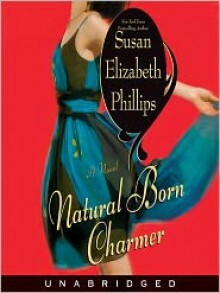 A hillarious new novel by New York Times Bestselling author Susan Elizabeth Phillips. Dean Robillard is the Chicago Stars' hotshot quarterback. Not only does he have lightening reflexes on the field, he is also utterly gorgeous. First seen in the critically acclaimed Match Me If You Can, Dean is trying to recover (both mentally and physically) from a shoulder injury by taking a road trip. Along the way he meets Blue, a beautiful woman down on her luck, and as they spend more time together their attraction grows. Blue has had a string of bad relationships and doesn't want to trust Dean right away. They wind up living together along with Dean's troubled half-sister and learn that families and luck work in mysterious ways. http://ItsjustmeShelly.booklikes.com It's just me Shelly 5.0 One of my most favorite books EVER!! text One of my most favorite books EVER! !